Virtually explore the non-virtual parts of the library! 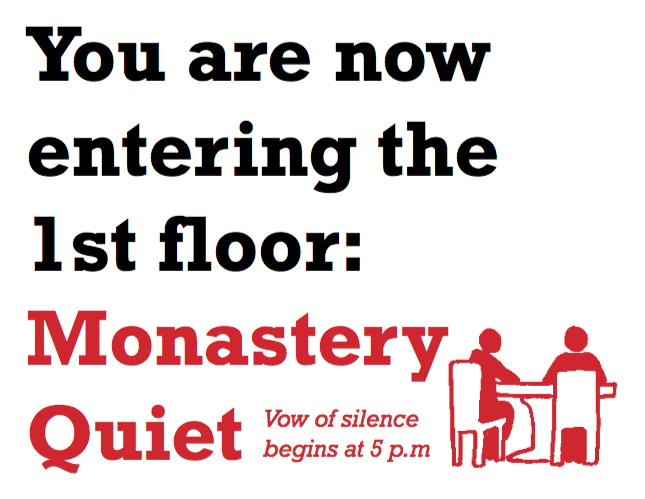 The 1st floor is "Monastery Quiet" after 5 p.m., when silence is the rule. If you need a quiet place to really focus, this is the place for you. Gould Library Research Guides are licensed under a Creative Commons Attribution-NonCommercial 4.0 International License unless otherwise noted.